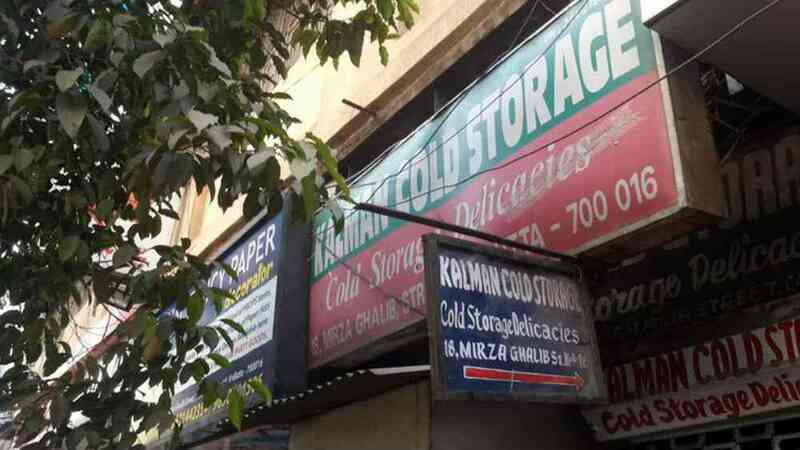 Kalman Cold Storage, which embodied the city’s secular ethos, shuttered this month. Picture for representation only | mali maeder/Pexels [Pexels License]. 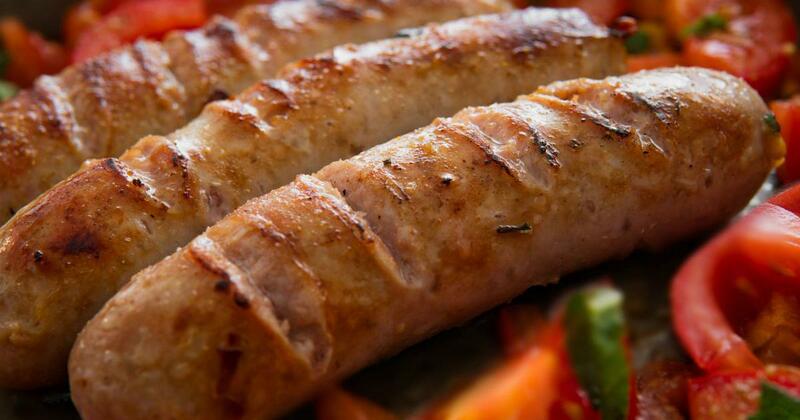 Spiced simply with black pepper, garlic and only a hint of salt, and smoked for seven to eight hours over a hearth fuelled with charcoal and wood chips in a closed smoking chamber, the Hungarian sausages were among Kalman’s most popular items. But that was not all. People flocked to this sliver of a shop on Mirza Ghalib Street (previously known as Free School Street) near New Market for a surprisingly affordable assortment of cured meats and cold cuts – everything from pork collar and ham to salami and smoked ox tongue. 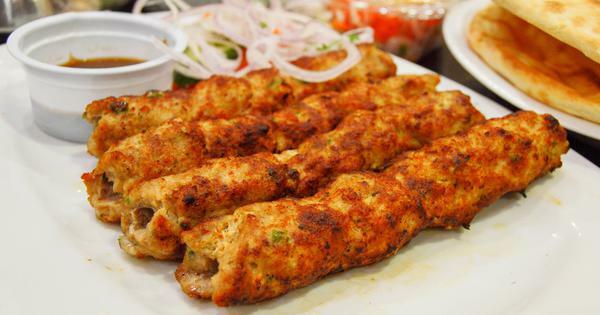 “Their ham was especially good,” said Ayan Ghosh, a management consultant and a seasoned culinary enthusiast. When he returned to Kolkata 11 years ago, after having travelled the world, Kalman seemed like one of the few vestiges of the city’s inclusive, cosmopolitan past. His shopping expeditions to New Market involved picking up his monthly stock of beef, collar and ham from Kalman, followed by some cheese at Johnson’s, before making a final stop at Nahoum’s, the city’s iconic Jewish bakery. “The fact that they were the only place that sold beef and pork under the same roof made Kalman an embodiment of the city’s secular ethos,” he said. Squashed between bigger shopfronts, Kalman Cold Storage occupied a passage-like space, which was crammed with two large freezers, two plastic chairs, a chopping table and some other equipment. “For a first-time visitor,” as city-based author Aryani Banerjee wrote in her book Shadows of Solitude, “it can be pretty confusing – one can even walk up and down the pavement four or five times and still fail to locate it.” A couple of framed newspaper articles, written about the shop and its history, hung on the opposite wall. According to one of the articles, published by The Statesman in the year 2000, the shop was started by Kalman Kohary, a Hungarian trapeze artist who had come to Kolkata with a travelling circus. Unable to return to his native Hungary after it slid behind the Iron Curtain, Kohary settled down in the city, married a Burmese woman and started a charcuterie on Elliot Road, before moving his shop to its Free School Street address. It is this story of Kalman’s origins that has become a part of the city’s collective memory. Back in the day, Free School Street and its surrounding areas, including Ripon Street and Elliot Road, comprised the heartland of Kolkata’s Anglo-Indian community. Some of the city’s Muslim, Jewish and Armenian residents inhabited the area too. This multi-cultural setting reflected in Kalman’s diverse clientele and cosmopolitan ethos. Many Bengalis joined these queues and Kohary would speak “to them in fluent Bangla,” said Thakur. The wait would be worth the while. As Banerjee, who waited in queues to pick up her meaty Christmas treats, wrote, Kalman sold “the best Hungarian sausages, salamis, smoked bacon and meatloaf in town”. After Kohary’s death, his family decided to leave the country. The ownership of the shop was handed to Kohary’s right-hand man, Bishnupada Dhar. After Dhar’s death, his wife Ruma and daughter Agomoni took over. But, in recent times, it was Ghosh who effectively ran the establishment. Joy Ghosh slices some cured ox tongue at Kalman. Photo credit: Shoaib Daniyal. 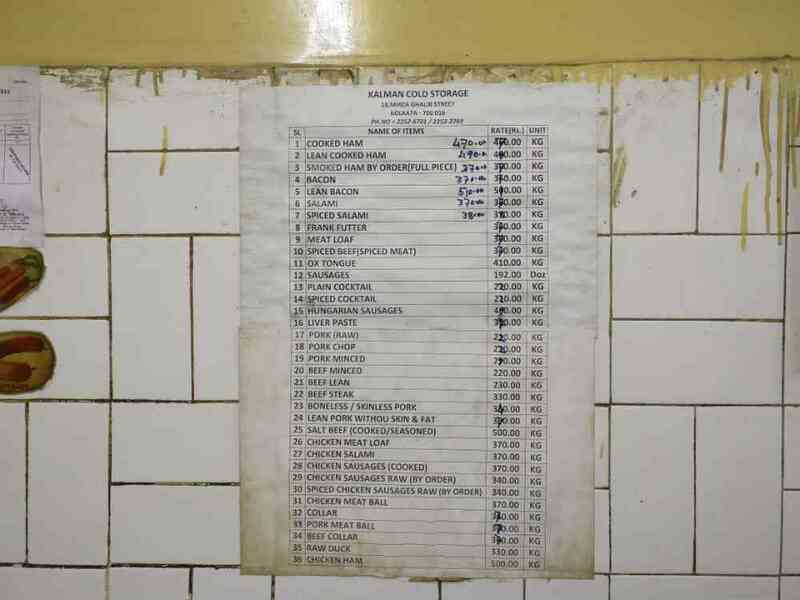 It was Ghosh’s personal touch that made buying meats from Kalman a memorable experience for many. “In case an old client would request, I would open the shop even on an off day to deliver an urgent order, even if it was for as little as 100 grams,” said Ghosh. “Sometimes Joy [Ghosh] would dissuade you from buying a particular item, simply because he thought it was not up to the mark,” said Angona Paul, an advocacy and communications specialist and home chef, who would regularly visit Kalman to buy collar and ox tongue. Ghosh blames labour problems for the sudden closure of the iconic shop. “The old karigars are all aged now and were unable to continue to put in the hard work and long hours,” he lamented. “The new ones lacked the commitment.” It is also true that Kalman, in recent years, rode on the strength of nostalgia to a great extent. “But I will miss their salami in my sandwiches,” said Thakur. Just a few days before the business shut down, Thakur picked up a fresh stock of spiced beef and chicken salami, unaware that it would be her last visit to 18 Mirza Ghalib Street. Now, like many of her friends and acquaintances, she is left without a trusted meat shop.